Buy an additional gallon of syrup for only $10 more! We have several "Lite" flavors. 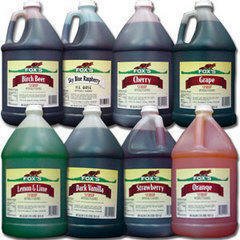 Popular flavors include Watermelon, Blue Raspberry, Tigers' Blood, Strawberry, and Cherry.